I enjoyed this small anthology by Dark Minds Press (their debut) – none of the stories were poor and no small number were well above average in quality. It is great seeing new and emerging writers do their thing. While the cover is excellent, I have to make an early point – the editing and proofing really needed to be better – the choice of font and internal formatting was, in my mind, weak, and there were typos and lack of indenting of a fair number of paragraphs – this does detract from the overall experience. However, it is not a major factor. I offer the following reviews against each story. This was a story that started great and disappointed somewhat in the end. This is the first time I have read Gary and there’s no doubt we have an accomplished writer here – his style, and the way he interweaves character issues with the plot, oozes craftsmanship and talent. The concept of rain as a tangible symbol of the protagonist’s haunted past (which in effect transfers to his present), is thoughtful and interesting, and the way he was able to depict the rain in a myriad of ways, growing in darkness, is commendable. Even the relationship with the protagonist’s wife is consistent and contributes to the build up of tension, along with the unfulfilled excitement of a new relationship. Then we had the ending. I love horror and without a doubt there are large slivers of the genre that warrant and are in fact fundamentally right in having oozing, slavering, pinchering supernatural creatures – but not for all stories. Some benefit from the hidden darkness, some aren’t about tangible monsters but instead are about the psychological state of the protagonist, and just some undefined ‘other’ place. The psychological and the dark was the theme of the first three-quarters of McMahon’s story, and then he inexplicably went b-grade at the end. I give 3 stars, on the basis of the start and middle of this good, but not great, work-horse short story. Berlin Shushi (Benedict J. Jones). A short piece that treats the brutality of war very well, despite the poor taste title (this is such a well depicted, serious piece, then Jones throws in a pun/lighthearted title, sheesh). Aside from this weakness, Jones painted a realistic end of war Berlin, and even the cannibalism, as unlikely an outcome as it is, nevertheless resonated well as a metaphor of the consequences of the war. Well done, I give 4 stars. A brilliant short story, on a number of levels. This story skirts horror, as it really is a psychological piece about the degradation of Ernest, an aging curmudgeon, who made a fundamental mistake in his youth, and paid for it for the rest of his life – and yet the storyteller paints a picture where (despite himself) the protagonist had found a form of niche in his world, which included tormenting his unwitting disabled wife. His is an ugly, unsightly world, and Bacon paints it very well indeed. What I particularly like about The House of Constant Shadow is the well crafted characters – the protagonist and his wife are incredibly real, unique, and even the bit players, like Crystal, the aged prostitute and the unsavoury neighbours. The metaphors of the football stadium casting a shadow of their home, the hooligans, the young couple who moved in across the street and reminded him so much of himself. Is this horror? Yes, of a psychological nature, but I’m not so sure it was necessary to add an extra layer with the mysterious man who stared at him/his home at night – perhaps stretched it slightly too far. Warren writes a nice period piece, describing the grotesque story of a rat catcher’s apprentice being disfigured by a large rat, and turning into a…I suppose you could call a ‘were-rat’. It is well constructed and the characters of Black and his wife are convincing and interesting. I think Warren’s effort at Victorian English is weak, and the style and grammar is slightly unpolished. An archetypical example is the use of the modern term "urban legend". I was also distracted by the inexplicable choice of the editor to use single quotation marks for dialogue (which I hate anyway), inconsistent with stories read thus far (and unfortunately used again in one later story). This is a good work-horse piece. I give the story 3 stars. I have mixed views of this story. There’s a lot of metaphor and symbolism, each individually creative, evocative, insightful. And yet I feel he crammed too much in it. Too many cooks have spoiled this broth. I also have an issue with the extent to which he changed POVs – doesn’t hurt as a principle and can be effective, but this had a loss of symmetry, which is what you at least want, if you have to do it at all. Having said all this, I did like the way it all came together – what we saw, through the eyes of several protagonists, was the degradation of a community to very dark ways, paralleled with the degradation of two men (maybe 4 if you count the itinerants). This is a very well written WWI supernatural story. It doesn’t cover anything original – the number of stories written about the twilight of life and death on the battlefield (and especially WWI) is legion. And yet, Watson was able to add freshness to his short piece, and vividly painted the backdrop. I enjoyed this story, in its simplicity and its portrayal of the thoughts of an aged stroke victim. I particularly liked his stoicism, right until the end. The twist in the end is not far reaching, nor brow raising, yet it was apt. I know a few folk who are the main character’s age and have a similar philosophy of life, and that is why it resonated with me. I have an issue with this story – not the writer or the story itself – in fact, it is quite reasonable. What my issue is that it isn’t, in any way you look at it, horror. It is a post-apocalyptic, dystopian story, which makes it science fiction, if anything. Since the publisher/editor claims it is a horror anthology, I think this is poor form. Now that I have that out of my system, I can talk about the short. Whittle doesn’t create anything significantly original in terms of plot, but I do like the characterisation of the main protagonist. A woman – a real woman, but with balls. She will do anything to save her son. I liked it, and I like the way she kept her head high and beat the bastards. I also think that the story is a little unrefined in plot construct and style. The ending, while satisfying for the protagonist (and reader), just didn’t feel like an ending – is there true optimism for the mother and child, or is there a dark future? This is an (almost) great short story. Getting into the head of a small time hood, beautifully portraying organised crime with all its brutality. Vengeance, so strong, you can taste it. Then the changes that happened to the protagonist – inexplicable, and surprising at the end. As a reader I had the nagging concern why he survived the shot to the gut, and so quickly, and yet it made sense in the end – this was done at just the right level. Very very good. The only concern I have is the need for an explanation at the end. I think it spoiled the story somewhat. Drewery didn’t even need to say ‘vampire’ – it was bleeding obvious (excuse the pun). All he had to do was hint at the blood transfusion – the incredible coincidence, or perhaps intervention. It just told too much, without showing, and somewhat insulted the reader’s intelligence. I think it was unnecessary to paint Alex as some ‘new breed’. Still, a powerful, wonderful story. This has depth for a zombie story. The bulk of the story is reminiscent of a classic zombie movie – a bunch of people hold up in a derelict house, being assailed by an army of zombies, some of whom were friends. Classic. His action sequences and descriptions kept the interest going, instead of the reader ho-humming and going to the next story. Some character interaction (could have been explored a little more, I think) also held interest, in particular between Nick and Sarah, and it becomes important at the conclusion of the story. The conclusion lifts the story – or should I say more accurately, is the purpose of the story. Love conquers all, including common sense. In a dark, twisted way, Sarah and Nick are joined again. Tragic but with undertones of poignancy. If Mynhardt had developed the characters just a little more at the beginning – to add the extra sheen of the ending, then I believe this would be a classic zombie story. I praise the author nevertheless for making something that is the ‘taste of the month’, and essentially boring now, into something fresh. This story explores, in essence, what would have happened if Father Damian Karras (of The Exorcist fame) failed to kill himself when the demon Pazuzu transferred to his body. It would be unkind to suggest that Stealback exactly intended this, and believe me, this is a compliment. Aside perhaps from an incredibly short exorcism at the start of the story, the short paces extremely well and provides a thorough description of Father Michael’s transformation. Father Simon’s character is also very well wrought. The ending was appropriate and cosmic in nature – no mean feat. Aside from the short exorcism, I wonder about the dialogue of the demon – I get it that it speaks perfect English (even idiomatically appropriate to who hears him), but I feel that perhaps the dialogue combined with description should be more otherworldly. Otherwise, the technique (as used) is a little worn. Probably the best for last. Johnstone’s story is rich with the thoughts and emotions of the protagonist, and reveals information in iterative cycles until the end. It has sorrow and regret, but most of all it has a horrifying inquisitiveness in the main character. I personally cannot find fault – this is an excellent story. 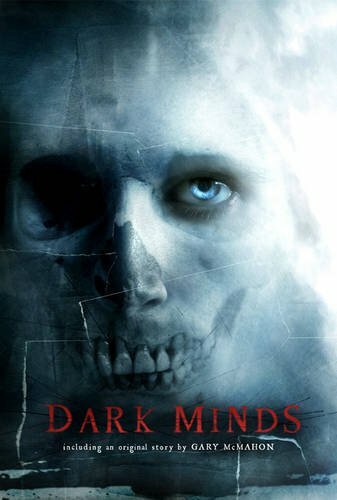 Posted on April 26, 2011 by Gerry HuntmanPosted in UncategorizedTagged anthology, dark minds, horror, review.